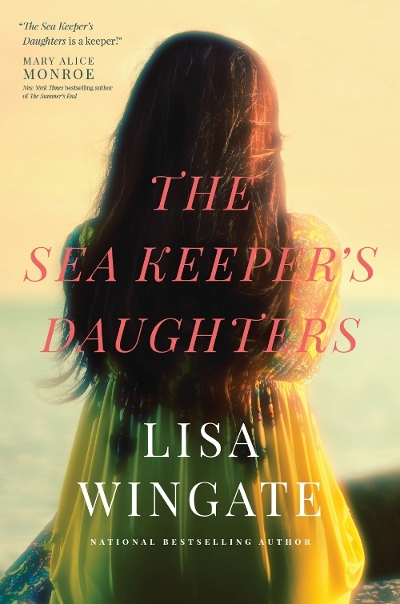 Lisa Wingate’s third Carolina book, following The Prayer Box and The Story Keeper, is releasing this September. I can’t wait!! From modern-day Roanoke Island to the sweeping backdrop of North Carolina’s Blue Ridge Mountains and Roosevelt’s folklore writers of the WPA Federal Writers’ Project, past and present intertwine to create an unexpected destiny . . . Restaurant owner Whitney Monroe is desperate to save her business from a hostile takeover. The inheritance of a decaying Gilded Age hotel on North Carolina’s Outer Banks may provide just the ray of hope she needs. But things at The Excelsior are more complicated than they seem. Whitney’s estranged stepfather is entrenched on the third floor, and the downstairs tenants are determined to save the historic building. Searching through years of stored family heirlooms may be Whitney’s only hope of quick cash, but will the discovery of an old necklace and a Depression-era love story change everything? While some tour events are already on the schedule, she’ll also have time for speaking at luncheons, teas, and book talks. Because she will be traveling in the areas listed above, your church, charity, or organization can hold an event without the cost of travel fees. If you’re in these states (or know someone who is) and have an idea for a location, fundraiser, or tour event, CLICK HERE.